his early life but from pictures of his father and grandfather we can assume that they were of middle class. Fanny Lange is one of the ancestors that is a mystery. From the census in 1860 we know that she was born about 1830 in the area of Germany that is known as Holstein. 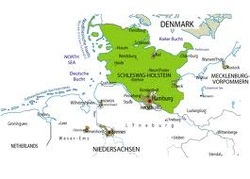 Holstein is part of Schleswig - Holstein, the northernmost province of Germany and is closely related to Denmark. Her parents are unknown as is the city of her birth. We have no record of the marriage of William and Fanny however their first child, Eliza, is born in Hamburg Germany in 1853. As their second child is born in 1854 in Chicago we can assume that Fanny immigrated sometime in 1853 or 1854. 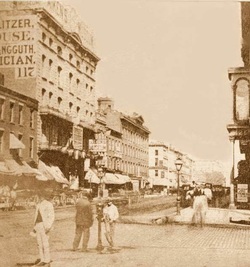 New York about the George Carming on July 30 1852. The records notes that he traveled first Cabin and not steerage which supports the theory that his family was middle class and that he may have been fleeing Europe after the revolution. Whether he returned to Europe and Fanny's arrival America is a part of the mystery. 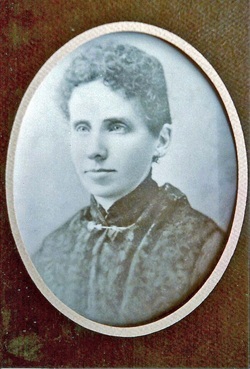 William and Fanny went first to Chicago where son Theodore was born September 30 1854. We find a William Wuthenow listed in the Chicago Directory as a Mustard Manufacturer at the corner of Franklin and Van Buren in 1854 - 1857. By March of 1858 he had moved to Danvers Illinois in McLean County. It is here that we find the record of his naturalization. In 1859 William and Fanny had a second daughter Fryia. The 1860 Census find the family living in Danvers, McLean County, Illinois. William is listed as a grocer with real estate value of $300.00. There are several additional records of taxes being paid in 1864 and 1865. In these records he is listed as being a retail liquor dealer. There is a record in the courthouse of McLean County Illinois that shows that William was in trouble with the law over some of his liquor dealings. At some point during this decade Fanny took daughters Eliza and Fryia and left William. There are various stories that she went to California or she returned to Germany. As of this time we do not know what happened to Fanny. It is one of the mysteries. 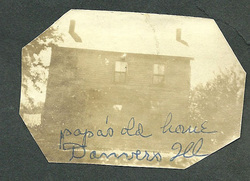 In an old photo book of William's granddaughter Antoinette Wuthenow Appel we have found a number of pictures of Danvers Illinois including one which notes papa's old home. the hospital in Louisville KY. In December 31 1861 he was mustered out. It notes that he had Chronic Diarrhoea and Rheumatism at Colesburg KY. There was not record of him returning to the Army after this time. In the 1866 and 1867 Chicago Directory he is listed as a Saloon Keeper at 73 W. Lake Street and also he is listed as an agent at 292 Sedgwick. The 1870 Census finds William in the 11th ward of Chicago. He is now married to an Eliza who is 38 and was born in England. He is listed as some type of an agent. The census notes he was born in Prussia and can read and write and is a citizen. William's son Theodore is living in the household and working in a store. The 1870 Chicago Directories find William moving around in the same area of Chicago. 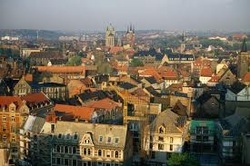 William returned to Germany to fight in the Franco Prussian War in 1870. It was at this time that he received The Iron Cross. The award was given to Arthur, son of Dora and William. 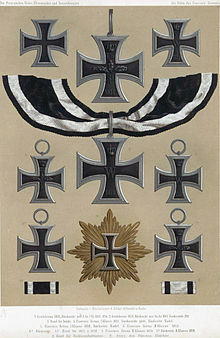 He was a Lieutenant in the Germany Army and served with honor and distinction. 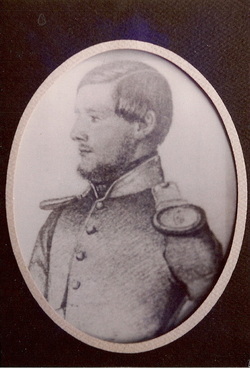 He is listed as the First lieutenant and Company Leader of the Second Occupation Battalion in a German letter regarding a pay dispute. In October 1878 William marries his third wife Dora Loenheim, whose first husband Isadore died earlier of yellow fever in Mississippi. She is the mother of three children, Lillian May born 1867, Evelyn born 1868 Milwaukee, and William born 1870 in Vicksburg Mississippi. All three adopt the name Wuthenow. William and Dora have three additional children, Walter William born 1880 Chicago, Arthur born 1883 in Chicago and Curtis born 1885 in Chicago. 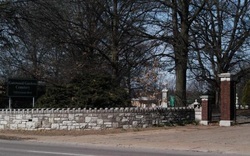 Gatewood Gardens formerly New Pickers Cemetery. 1107 Mt. 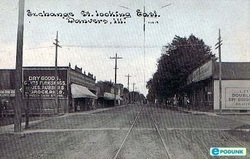 Vernon Ave and 3739 Manchester Road. William dies on December 10 1890 at St. Louis Missouri of Chronic Enteritis. The death certificate lists him as a laborer, white, 64, married and born in Germany. He was buried in New Pickers Cemetery. At present we are unable to locate the stone. We do find pension records from Dora asking to receive a pension based on William service in 1877. Dora dies in January 1894 and is buried in Oak Wood Cemetery. The older children set out on their own, but Walter, Arthur and Curtis became wards of the state and lived in the Soldier home in Normal Illinois. All three later went on to very successful lives.